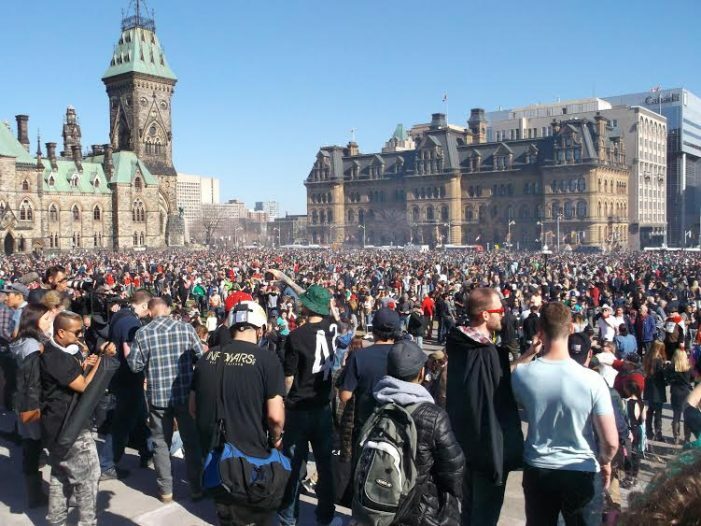 Ottawa Ontario – The 4/20 marijuana rally on Parliament Hill attracted over nine thousand participants. Yappers, a prominent Toronto band played original music during the warm sunny afternoon. A variety of speakers made comments from the steps of the Centre Block building. 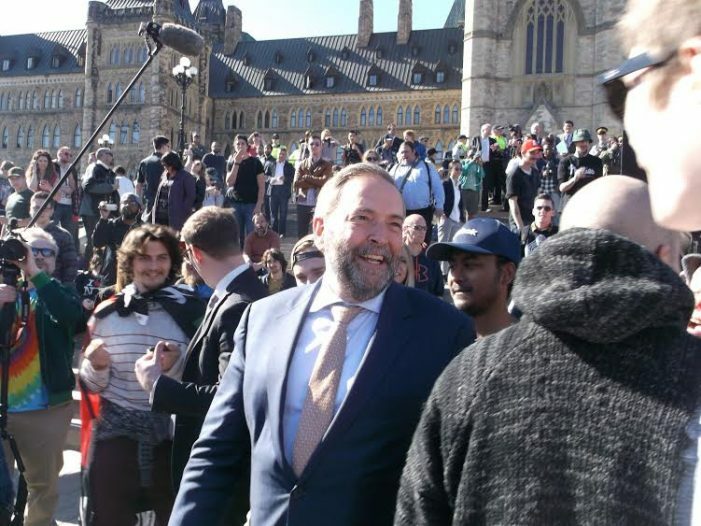 Shortly after 4:20 PM, Tom Mulcair, member of Parliament and leader of the NDP, walked into a crowd of well wishers. They were eager to glad hand, have a quick chat and take selfies with him. Today the Liberals announced they would legalize marijuana next spring. There were no incidents other than it was one of the largest crime sprees in Canadian history. I love what you said Mary that is a good one. It is hot here in Ottawa and I came back just a while ago with my daughter and I had to let her go to get a few more things while I came home since I am a big short of breath while outside. I get like that when the weather changes. Too many druggies out there and JT is one of them. the world is going up in smoke – Gen 19:28 “He looked down toward Sodom and Gomorrah and saw smoke rising from all over the land–it was like a flaming furnace”. Fore sure these ones were not smoking pot! Oh Mulcair, why couldn’t you have started courting the cannabis vote before the election? That would have been a much better strategy. Tom’s a funny cat Dana. We went from being buds to him cutting off after his big election win. Four years later and he’s done. Karma is a funny thing, and welcome to CFN. Pastor Newton I wouldn’t doubt that in ancient Middle East that people in Sodom and Gomorah smoked dope. There is a lot of hashish grown in the Beccah Valley in Lebanon and if one is caught smoking that stuff or selling it they are put in prison hung upside down and soaked with water and whipped and many years in prison. Yes this world is gone to pot. Thousands of years ago there was the great flood and this time the world may burn especially with all the druggies lighting up. No wonder the world is brainless anymore. I cannot live in this kind of a world at all. Gotta feel a little sorry for Mulcair. He was the first credible Opposition leader we had after the Liberals propped up the Harper Cons for years. Too bad he swung the party to the right. Jules, I used to love the Lebanese hash. 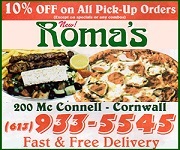 Haven’t had any for many years. Sometimes I long for the good old sixties and seventies. Furtz with all the world’s problems that are going on today and people don’t know the half of what is coming very soon: a worldwide economic crash and WWIII and people want to get stoned out of their minds – what kind of a people want to get that way and not be able to function anymore. People cannot face the truth and that is true.